Acupuncture is an ancient practice originating in China that uses trigger points to eliminate pain. The specific trigger points to be used are determined by observing a patient’s reverberation to manipulation of the painful muscles. Once selected, each trigger point can be relieved with an interrelated acupuncture point. A very, very thin needle is inserted into the trigger point, influencing the energy flow through the body and causing the muscle to relax and relieve pain. Occasionally heat, pressure, or benign electrical current is used in addition to the needles. Acupuncture has been gaining traction in the Evansville and Newburg areas and throughout Indiana and for good reason. 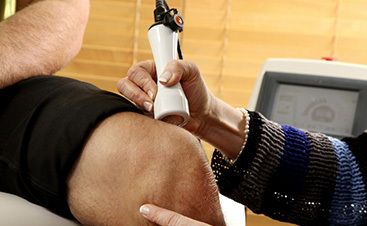 The procedures are painless, safe and effective for pain relief. Many patients experience the results they are seeking through acupuncture treatments which may reduce or even eliminate the need for pain relief medications or invasive procedures. When administered by an experienced practitioner, acupuncture has been found to be an effective method of treating even severe or chronic pain naturally. Many people who have not found relief with conventional treatment methods have benefitted greatly from acupuncture therapy. Patients with lower back pain are often good candidates for acupuncture as are patients with persistent pain in the upper or middle back. Dr. Eric L. Mitz is a licensed biomedical-acupuncturist who is also a Fellow of The Acupuncture Society of America. 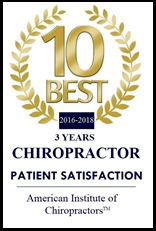 After years of practicing chiropractic and acupuncture, Dr. Mitz founded Integrated Physical Medicine which is the tristate’s only comprehensive multidisciplinary clinic dedicated to providing long-term solutions to severe conditions without the use of drugs or surgeries. If you would like to look more intently into acupuncture for back pain, neck pain, migraines, anxiety, or many other issues, Dr. Mitz will be happy to discuss the procedures and protocols to find out if acupuncture is right for you.